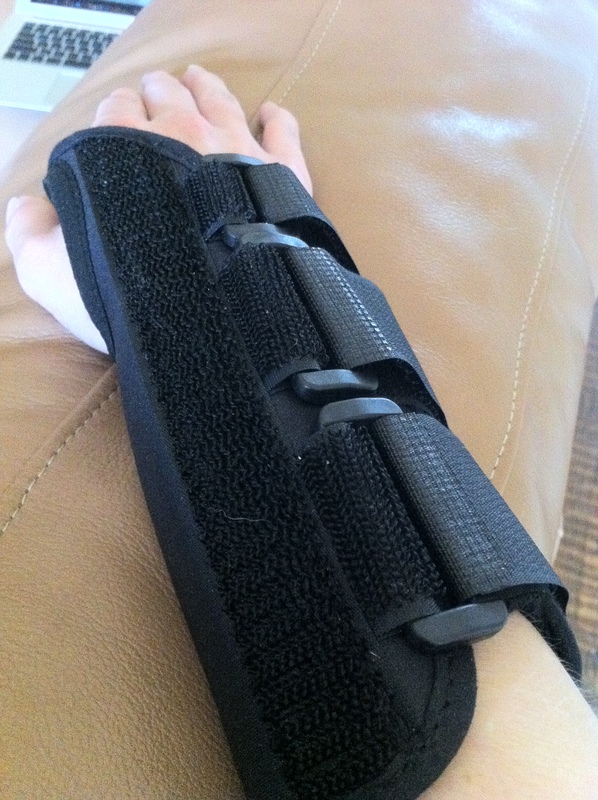 Tuesday evening I started having pain in my right wrist. Since I am left handed, I didn’t give it a second thought…until Wednesday night, when the mild pain morphed into a 10 on the Richter scale of pain. The skin over the pisiform bone of the bottom side of my wrist became red and seriously inflamed. The pain became so severe that I suspected a fracture and scheduled an appointment for X-rays. The strange part to this injury is that it had no precipitating event — at least as far as I can remember. My husband thinks it probably got injured when I walked Dogzilla…er…Bella, in that she transforms from a sweet obedient dog into a crazed, overeager, uncontainable ball of energy when she meets people on our walks. At any rate, I can’t say for certain what injured my wrist. He told me I had severe inflammation. Um, yes. I knew that. But the moment he saw I had fibromyalgia, he dismissed me. His body language instantly became guarded and disinterested as he threw out names of drugs other doctors have mentioned to me about managing fibromyalgia pain, such as Lyrica. I researched Lyrica awhile back…I am not going to take it. The side effects are gruesome — confusion, dizziness, inability to concentrate or drive — several people on WebMD commented that the drug made them appear to be “tripping out” as if they were on a high. I’d rather go a natural route…and there is no proof that this wrist pain is fibromyalgia-related, anyway. But that still left me with severe pain and limited range of motion. The prescription he wrote me was an NSAID gel — but the pharmacy would not dispense it because I am allergic to one of the NSAIDs, Aleve. (Why he wrote a prescription for a drug I can’t use is beyond me..he had my drug allergies on the computer right in front of him!) So I got my friends and family to begin praying for me and then went on a hunt for something natural that treats inflammation. This trio, friends, has been the God-given natural treatment that works. The difference between yesterday’s pain when I began this regimen and today’s pain is like night and day. Yes, I am still sore and am still wearing the brace…but I no longer break out in a cold sweat if I accidentally move my wrist. My dad told me to soak my wrist in Epsom salts to draw out the soreness. I didn’t have any Epsom, but I did have bath salts from the Dead Sea. I soaked my hand three times yesterday and one time so far today. The hot water increases my range of motion and the salts are helping reduce inflammation. The warm water and salt mixture is like soaking in the ocean off the coast of Florida, minus the palm trees. And the sand. This homeopathic remedy has a smelly, earthy odor. But it works! I’d apply skunk spray to my wrist if I thought it would take away the pain I’ve had recently. I’ve used other products that contain arnica, but this is the first time I have used straight arnica cream. Ahhh….that feels so good. After I apply the arnica, I put four or five drops of pure peppermint essential oil straight on my skin. Now some websites say not to use it straight but to dilute it in another oil first…but I needed the big guns for my pain. I mean, a girl’s got to be able to hold a hair dryer to fix her hair, right? In researching essential oils for inflammation, I learned that COX enzymes in the body are responsible for the inflammatory process. Drugs like Celebrex and Vioxx were COX-2 inhibitors. A study published in the Journal of Lipid Research in 2010 showed that many essentials oils are also natural COX-2 inhibitors. I tried oil of oregano but didn’t feel any relief until I used peppermint oil. The coolness tingles and relieves my pain. If I had any COXes running around in my wrist yesterday, the peppermint oil got down to business and neutralized them. I feel so much better! This morning the pastor prayed a special prayer over all of us who needed healing, physical, spiritual, emotional…and as he prayed I felt tingling from the top of my head all the way down to the soles of my feet, particularly on the right side of my body…and guess what? My wrist is even better than it was before I walked into church, which was better than it was yesterday when I could not even put on my own socks without grimacing in pain. Thank you, Jesus! All glory to You for your healing power that is real. 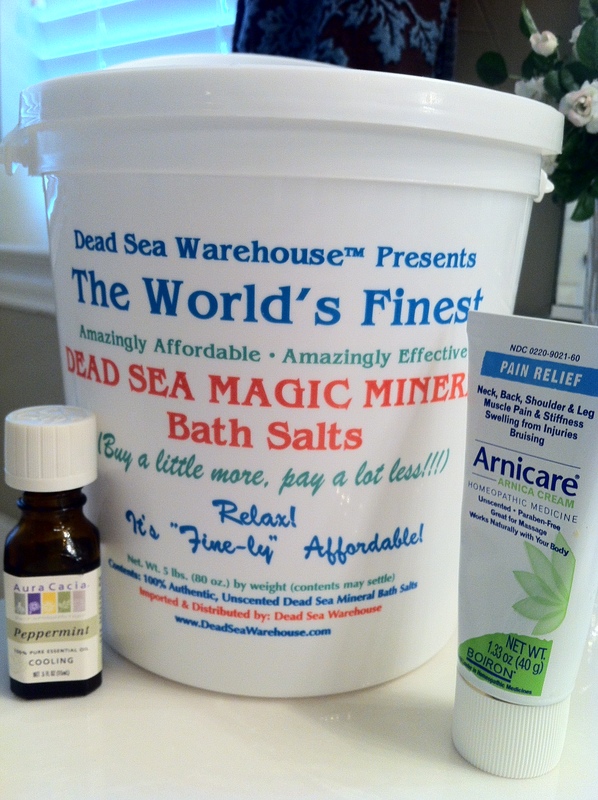 And thank you for peppermint oil, arnica, and salts and minerals from the Dead Sea. My heart is full, and my wrist is on the way to healing. In the mean time i wouldnt mind an individual noticing that i have missing meiztang! I mentionned MFP to the friend yesterday simply because she wasnt confident about signing up for meiztang watchers becase in the dollars, advised her to not bother and verify this web site out and mentionned simply how much i’d lost and he or she gave me a glance having said that you have got dropped meiztang?